Driving along the coastal road past the wonderful beaches of GLYFADA, VOULIAGMENI, VARKIZA and countless coves, one has a splendid view of the Saronic Gulf. 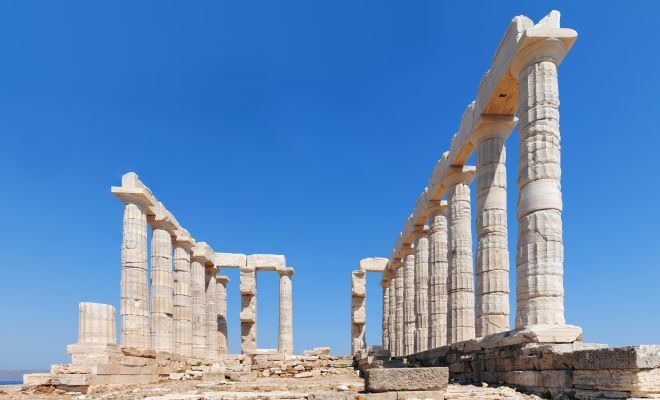 A crowning feature of the tour Cape Sounion dominated by the spectacular Temple of POSEIDON overlooking the Aegean sea. 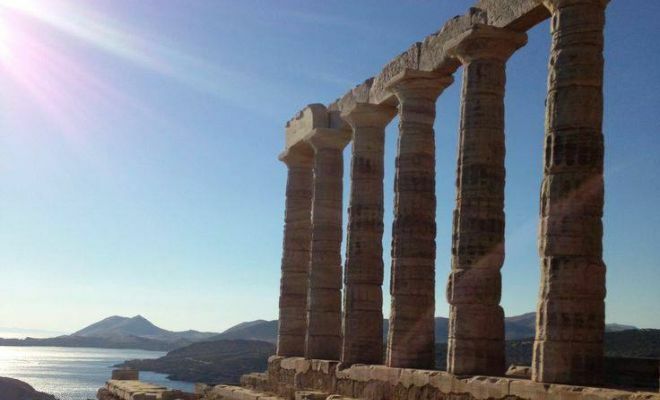 Sounio has been a sacred site since very ancient times. 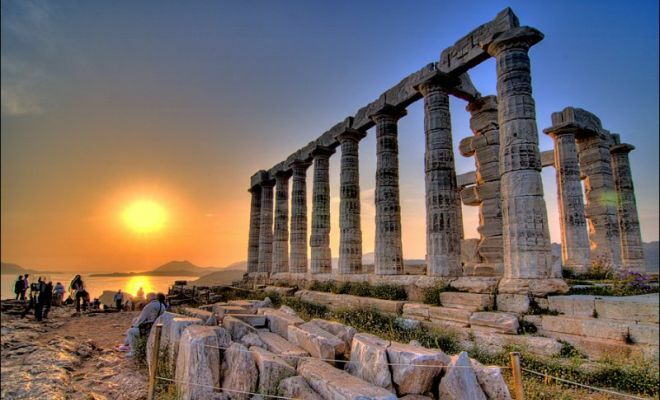 The "sanctuary of Sounion" is first mentioned in the Odyssey, as the place where Menelaus stopped during his return from Troy to bury his helmsman, Phrontes Onetorides. Archaeological evidence has shown that there were two organized places of worship on the cape by the 7th century BC: a sanctuary of Poseidon at the southern edge and a sanctuary of Athena about 500 mt to the northeast.